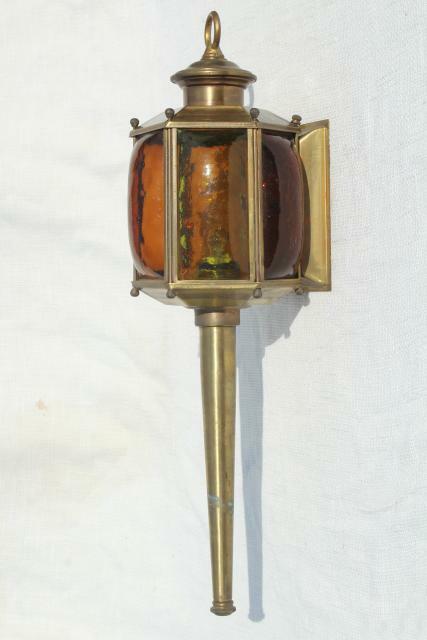 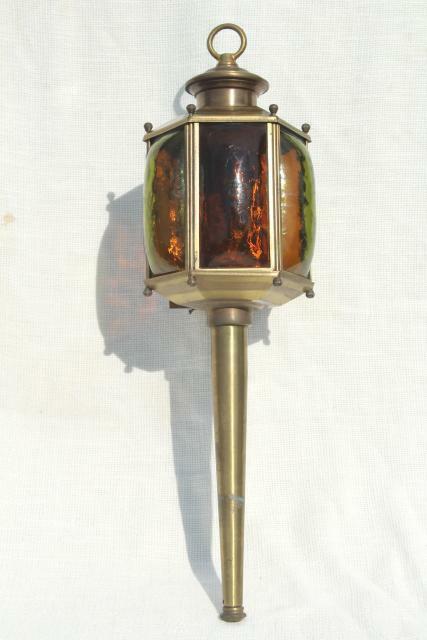 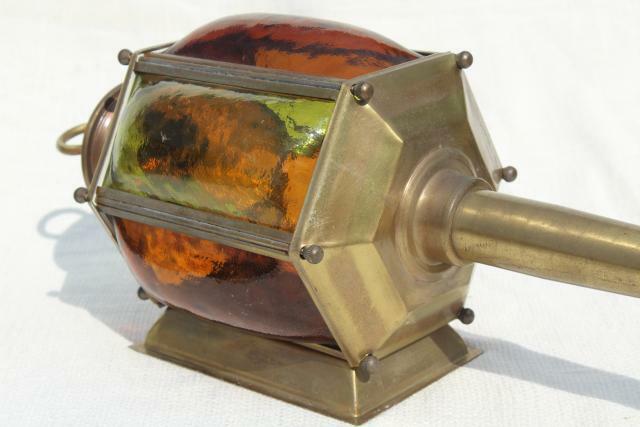 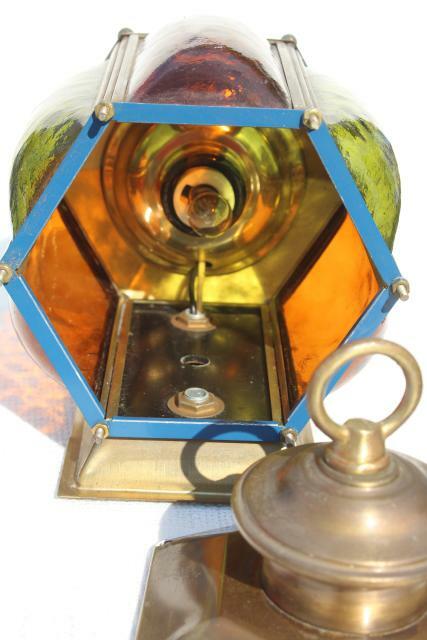 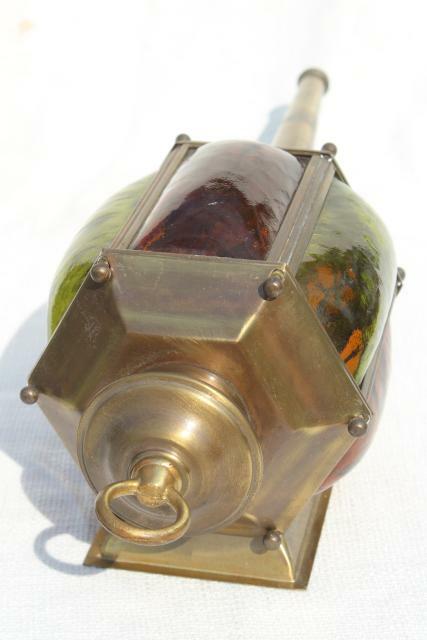 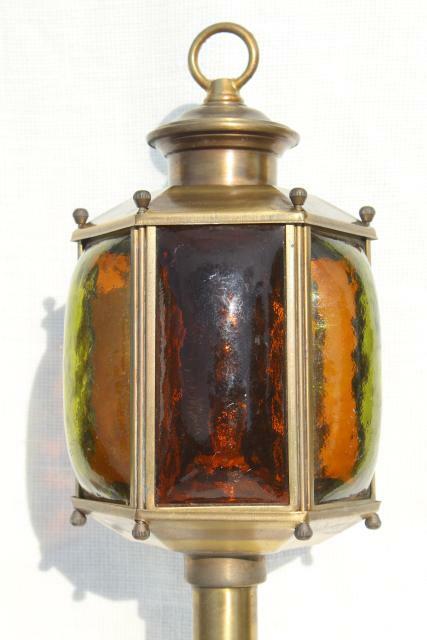 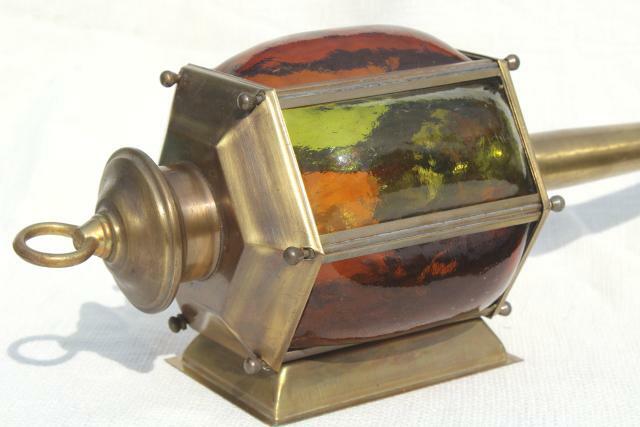 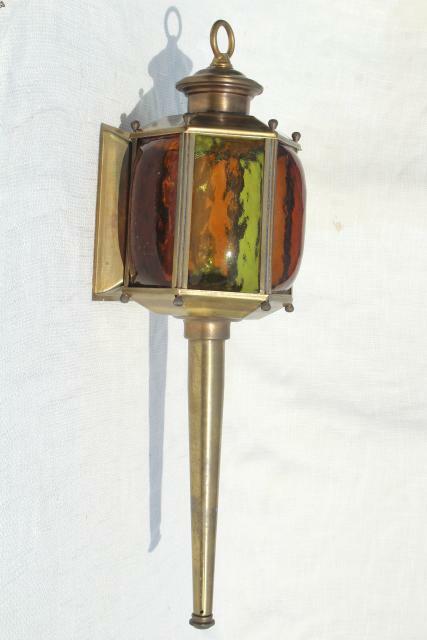 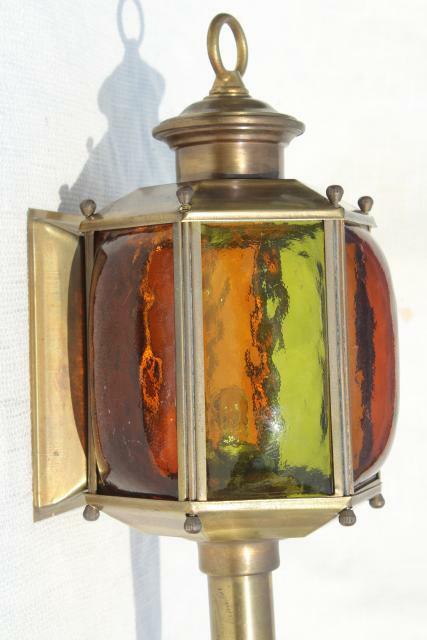 60s or 70s vintage brass sconce light with stained glass in green and amber gold. 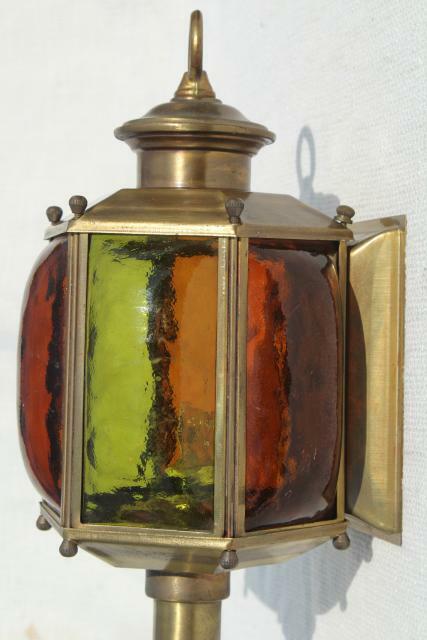 This is in very good clean condition overall - the glass panels look good without chips or cracks. 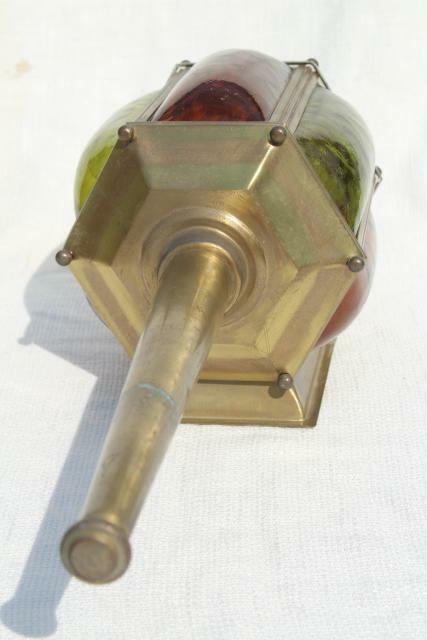 It's solid brass (not brass plated steel), about 20" long top to bottom, not terribly heavy. 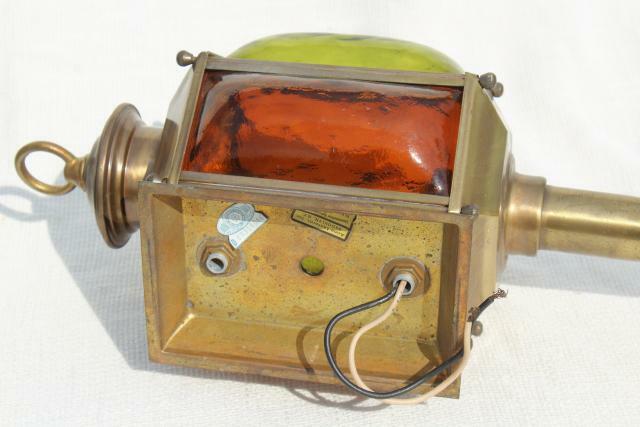 It's made to hold a single candle socket light bulb, and wire directly into a wall.